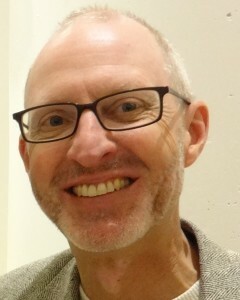 James Olm is Chair of the Department of Theatre and Dance, and the coordinator of the Musical Theatre program at Casper College in Casper, Wyoming. He has directed over seventy dramas and musicals, from professional theatre to high school. He is also a composer/playwright, having written four musicals, with one, The Magdalene, that opened Off-Broadway, with Richard Maltby, Jr. as overseeing director in 2011. Nailing a Musical Theatre Audition! Learn one major technique that will make a huge difference on your Musical Theatre audition, and then perform your audition in this workshop, singing it a cappella! Sweeney Todd – The Importance of a Chorus! We will learn a chorus number from Sweeney Todd, develop individual characters within that chorus, and then perform it! Copyright © 2019 Colorado State Thespians. All Rights Reserved.